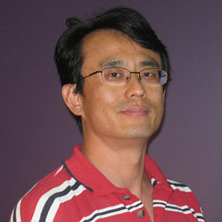 Dr Liu has published over 60 peer-reviewed papers and is a co-inventor of 12 patent applications. His research generated one market drug and several drugs at various stages of clinical trials. His recent discovery of a new class of antigens, now protected by patents, has powered immunologists across the world to study a class of abundant but less known T cells called Mucosal-Associated Invariant T cells. This work led to two highly cited papers in Nature and several papers in other high impact journals since 2012 (e.g. Nature Immunology, Immunity, Journal of Experimental Medicine, Nature Communications, Journal of Immunology, Mucosal Immunity). Antagonism of protease-activated receptor 2 protects against experimental colitis. Liu, LG (2003) Enantioselective synthesis of protoberberine alkaloids via (-)-sparteine-mediated asymmetric condensation-cyclisation of o-toluamide anions with 3,4-dihydroisoquinolines. Synthesis-Stuttgart, 11: 1705-1706. Liu, Ligong (2003) Enantioselective synthesis of protoberberine alkaloids via -sparteine-mediated asymmetric condensation-cyclisation of o-toluamide anions with 3,4-dihydroisoquinolines. Synthesis, 11 1705-1706. Liu, L, Warrener, RN, Russell, RA and Tiekink, ERT (2001) Crystal structure of dimethyl 4,5-dimethylene-15-oxahexa-cyclo-[6.6.1.1(3,6).1(10,13).0(2,7).0(9,14)]heptane heptan-1,8-dicarboxylate, C22H26O5. Zeitschrift Fur Kristallographie-New Crystal Structures, 216 4: 533-534. Warrener, RN, Liu, LG, Russell, RA and Tiekink, ERT (1998) The synthesis of 13-spiro-substituted protoberberines via the tandem addition - Cyclisation reaction of 3-methoxyphthalide anions to 3,4-dihydroisoquinolines. Synlett, 4: 387-+. Liu, LG, Zhang, T and Li, ZS (1996) Regio and stereo selective hydrogenation of 17-substituted 13 beta-ethyl-11 beta-hydroxy-gona-4,9-dien-3-ones and NMR study. Tetrahedron, 52 12: 4495-4504. Gherardin, N. A., Keller, A. N., Woolley, R. E., Le Nours, J., Ritchie, D. S., Neeson, P. J., Birkinshaw, R. W., Eckle, S. B., Waddington, J. N., Liu, L., Fairlie, D. P., McCluskey, J., Pellicci, D. G., Uldrich, A. P., Rossjohn, J. and Godfrey, D., I (2016). A broad family of MR1-restricted T cells. In: International Congress of Immunology (ICI), Melbourne Australia, (153-154). 21-26 August 2016. McWilliam, H., Eckle, S., Theodossis, A., Liu, L., Chen, Z., Fairlie, D., Strugnell, R., Mintern, J., McCluskey, J., Rossjohn, J. and Villadangos, J. (2016). MR1 is an endoplasmic reticulum-resident sensor of vitamin B metabolites. In: International Congress of Immunology (ICI), Melbourne, Australia, (530-530). 21-26 August 2016 . Godfrey, D., Koay, H. -F, Gherardin, N., Enders, A., Loh, L., Chen, Z., Corbett, A., Eckle, S., Meehan, B., d'Udekem, Y., Konstantinov, I, Lappas, M., Liu, L., Goodnow, C., Fairlie, D., Rossjohn, J., Kedzierska, K., Berzins, S., McCluskey, J., Uldrich, A. and Pellicci, D. (2016). Thymic precursors to the mucosal-associated invariant T cell lineage. In: International Congress of Immunology (ICI), Melbourne Australia, (256-257). 21-26 August 2016. Sakala, Isaac G., Kjer-Nielsen, Lars, Eickhoff, Christopher S., Wang, Xiaoli, Liu, Ligong, Fairlie, David P., Rossjohn, Jamie, McCluskey, James, Hoft, Daniel F. and Hansen, Ted H. (2015). Tetramer identification of functional mouse mucosal associated invariant T (MAIT) cells. In: 8th International Workshop on Antigen Processing and Presentation, Philadelphia Pa, (143-144). Jun 10-13, 2014. West, Michael Leo, Andrews, Peter, Ramsdale, Tracie Elizabeth, Meutermans, Wim, Thanh Le, Giang, Clark, Chris, Abbenante, Giovani and Liu, Ligong (2004). Derivatives of synthesis of monosaccharides for drug discovery. WO 2004014929. Banwell, Martin Gerhardt, Liu, Ligong, Parish, Christopher Richard and Freeman, Craig Geoffrey (2003). Linked cyclitols and their polysulfated derivatives. WO/2003/004454.